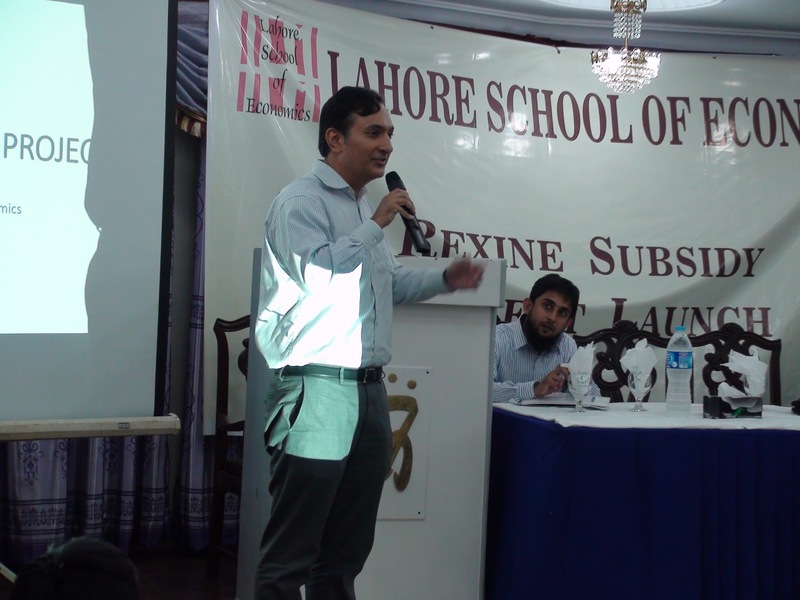 The researchers of the Lahore School’s Innovation and Technology Center launched a novel rexine subsidy project on 12 August 2015 in order to help Sialkot football manufacturers overcome the high cost of imported rexine. In this project more than 70 firms from the Sialkot football sector were invited to an event in which 30 firms were selected to receive high value vouchers from the Lahore School of Economics that can be used to purchase high-quality foreign Rexine at a large discount. 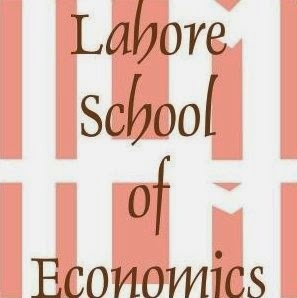 This initiative has been launched under the newly established Innovation and Technology Center of the Lahore School of Economics. This Innovation and Technology Center will conduct cutting edge research on the role of innovation and technology in the economic growth and development. The research team at the Lahore School of Economics has been conducting internationally recognized research on technology in the football sector in Sialkot for the last 5 years with the support of the Government of Punjab and the Sialkot Chamber of Commerce. This research has been jointly conducted by researchers at the Lahore School of Economics, Columbia University and the Massachusetts Institute of Technology (MIT). The Innovation and Technology center is currently engaged in an international project to benchmark technology and productivity in the Pakistani garments sector and will also benchmark technology and productivity in the Sialkot football sector and the Sialkot surgical goods sector. The Lahore School of Economics and University of Colombo, Srilanka are in a cooperative academic relationship since last five years in the areas of Faculty Exchange, Research and Student Exchange. 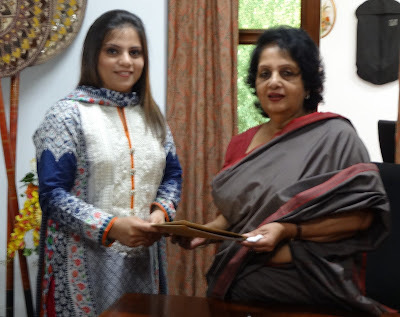 Ms. Sehrish Ehtisham, Manager Financial Assistance and External Relations, Lahore School of Economics visited University of Colombo to renew the MOU. The signing ceremony was held on 7 August 2015. Prof. Lilitha Mendis, Prof. Lakhsman Dissanayake (Vice-Chancellor), Dr. Sirimal Abeyratne (Professor in Economics) and Prof. Rev. W. Wimalaratne (Head of Economics Dept) were present. 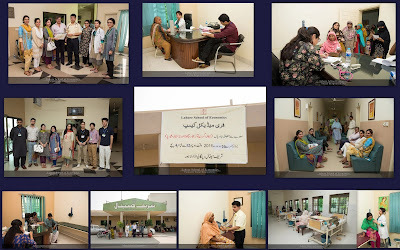 Lahore School of Economics third Free Medical Health Camp was setup by the Lahore School Corporate Social Responsibility (CSR) on August 20, 2015 at Shareef Hospital. Dr Baqar Shareef (General Physician, Shareef Medical Hospital), Dr Saima Malik (Consultant Hospitalist, Shaukat Khanum) and Dr Shireen Gul (Consultant Gynecologist, Ganga Raam Hospital) provided medical consultancy to the patients. A total of 120 patients were treated for ailments ranging from basic muscular pain to uncontrolled blood pressure, cough and acute gastro-intestinal disorders. 65% of the patients treated were females out of which around 25% were expectant mothers and 35% children. The management team consisted of 10 student volunteers who managed the event efficiently. The CSR society gives students opportunity to realize the importance of voluntary work beside their studies. 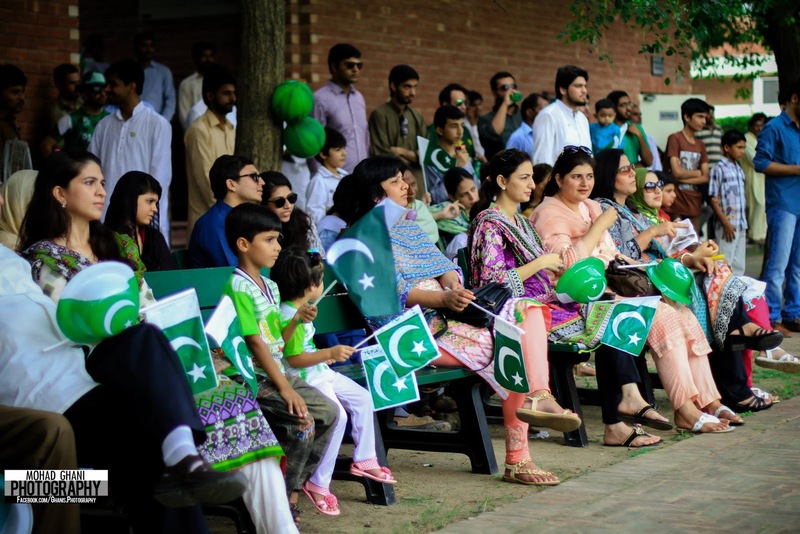 As per our tradition, 69th Independence Day of Pakistan was celebrated at Lahore School of Economics with national spirit and fervor. Dignified flag raising ceremony was attended by accompanied students, faculty and staff. 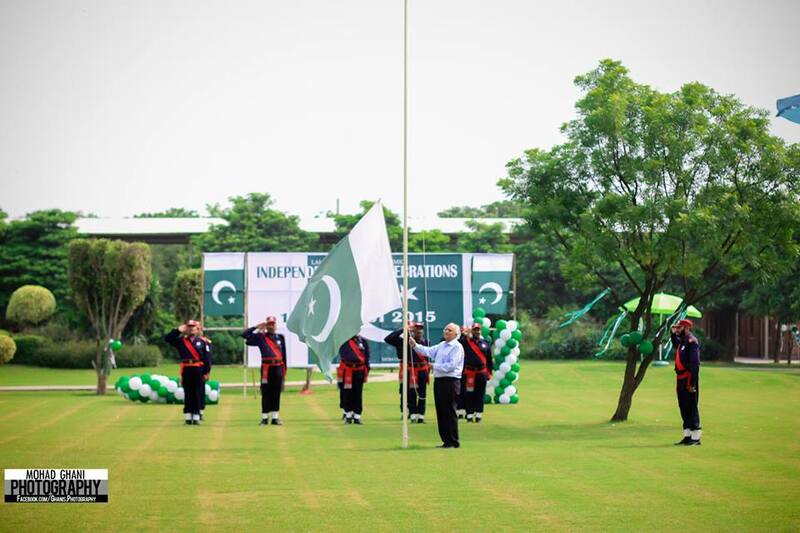 Dr Shahid Amjad Chaudhry, Rector Lahore School of Economics hoisted the flag and smartly turned out contingent of guards presented a salute. Addressing the enthralled audience, Dr Shahid Chaudhry threw light on the history of Pakistan, present strength of the country and how Lahore School is contributing to it's economic development. Day long Lahore School Jashne-e-Azadi included multiple sports, indoor activities and colorful programs for children.